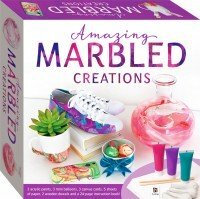 Perfect for those who enjoy the creative and meditative pastimes of arts and crafts, Create Your Own Pebble Art box kit contains everything you need to learn you how to make eye-catching compositions from simple pebbles, creating pieces that are ideal for decorating your home or as gifts for loved ones. 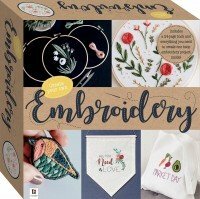 Join pebble-art professional Rachael Fisher, as she guides you through the process of making eight arresting pebble artworks; starting with simple but effective marker strokes, to incorporating other quirky collage elements, all the way to mosaic masterpieces. 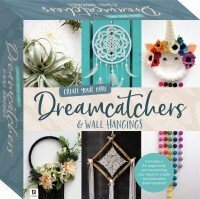 All projects in this book use commonly available art and craft supplies, such as other gel pens or paints, or found objects like dried flowers, so you’ll be able to learn and display these projects with pride in no time. 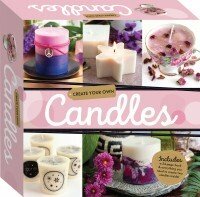 The kit comes with all you need to get started, including 9 pebbles, a 22 ml (0.74 fl. oz) bottle of glue, 2 high-quality sheets of card, 1 orange gel pen, 1 black fine-liner pen, and a 24-page book. 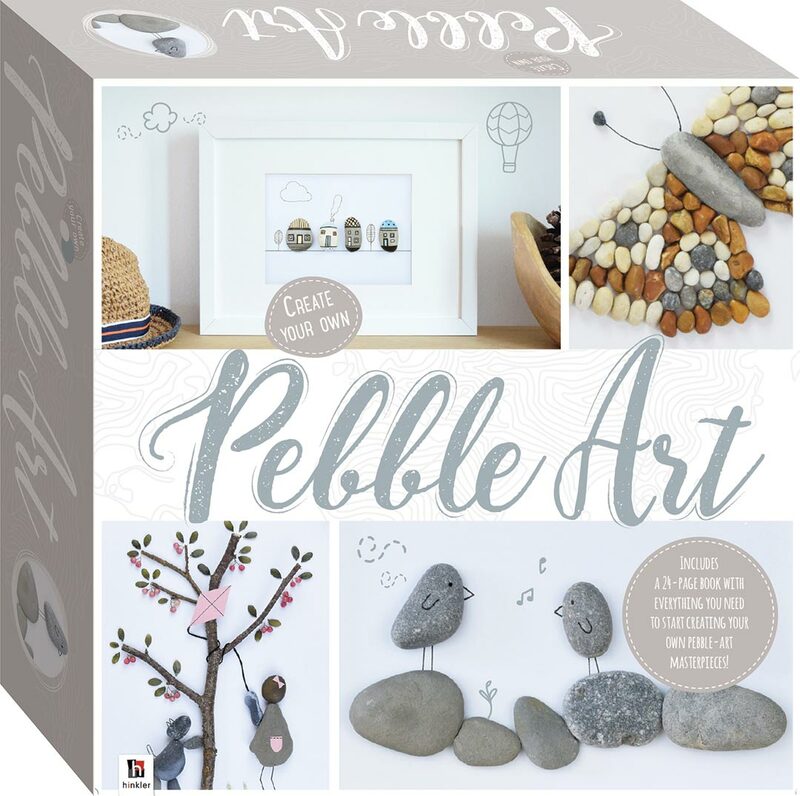 The book is full of pebble-art tips and tricks which are helpful for both beginners and experienced pebble-artists alike, as well as clear step-by-step photos, you will be pebbling perfectly in no time!